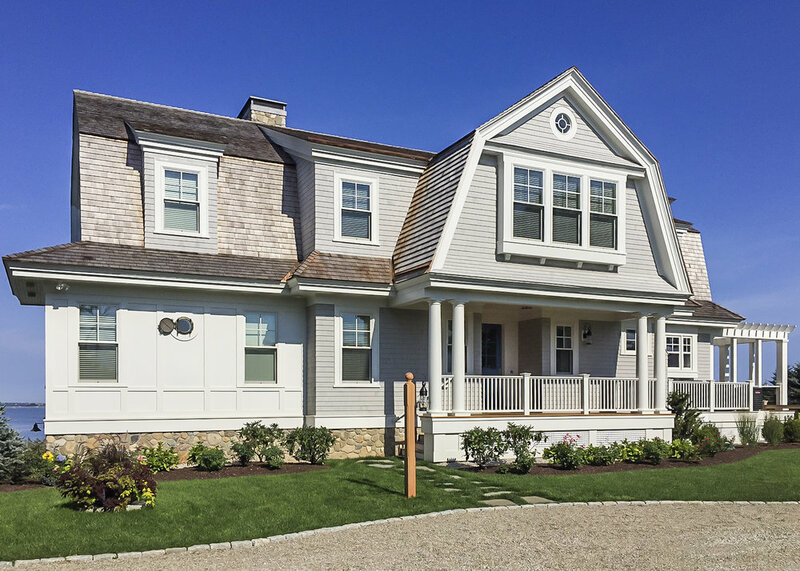 Located on a coastal saltwater pond, this new 4,500 sq. ft. beach house was designed by HDS Architecture as a family vacation retreat. The new residence includes a master suite and four bedrooms, a large living/dining/kitchen area, study and family entertainment room. Every space in the house takes advantage of its unique waterfront setting.